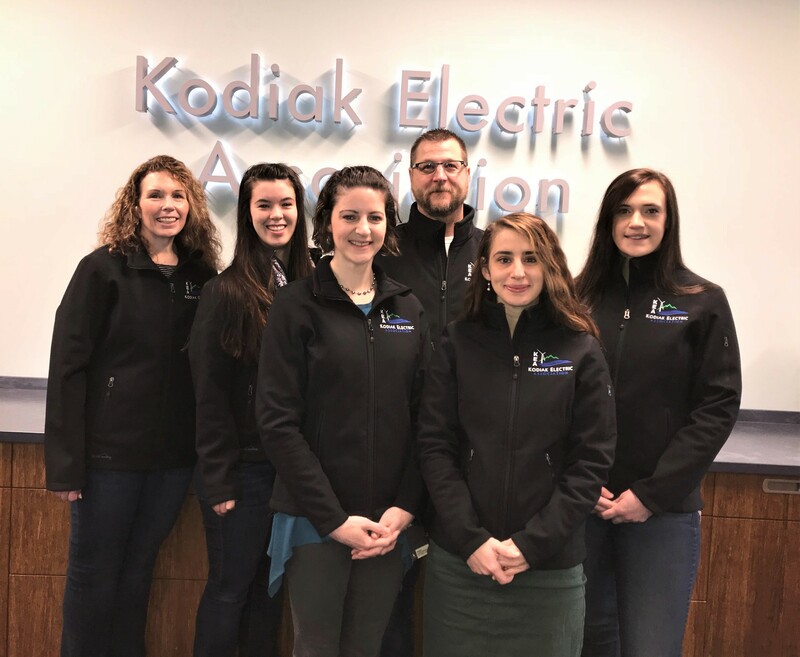 Kodiak Electric Association | What's new with Kodiak Electric? The Notice of KEA’s 77th Annual Membership Meeting, Voting Packet and Annual Report were mailed to all KEA members on March 28. Have YOU voted yet? Your signed postage-paid ballot envelope enters YOU into grand prize drawings for two (2) $250 certificates for free electricity and two (2) round-trips for two (2) to the Terror Lake Hydroelectric Facility! Remember to mark and return your ballot in the postage-paid envelope provided. Make your vote count…the last pickup of ballots at the U.S. Post Office will be at noon on Friday, April 19. Vote early! All members actively participate in setting the cooperative’s policies and in making decisions through your locally elected Board of Directors. Every member of the cooperative has a voice and a vote. Election results will be announced at KEA’s Annual Membership Meeting on Monday, April 22 in the Gerald C. Wilson Auditorium. The doors will open at 6:30 p.m., and the meeting will begin at 7:00 p.m. Mark your calendar and make plans to attend this exciting community event! 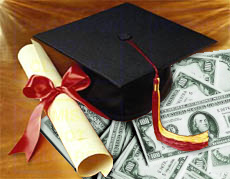 Every member who registers and attends the meeting will receive an Electric Energy Credit! Six (6) cooperative members are candidates for the three (3) three-year seats open for election this year on the KEA Board of Directors: Mark Anderson, Linda Freed, Brian Himelbloom, Jay T. Johnston, Tyler Kornelis, and Matthew Moir. Members with questions for the candidates are invited to contact them directly. The Notice of Annual Membership Meeting, Ballots, and Annual Report will be mailed to all KEA members on Thursday, March 28, 2019. All voted ballots must be returned in the postage-paid return envelopes that are provided with KEA’s voting packet. KEA’s last pick up of the ballots at the post office will be at noon on Friday, April 19, 2019. Election results will be announced at KEA’s 77th Annual Membership Meeting on Monday, April 22, 2019 in the Gerald C. Wilson Auditorium. The meeting will be called to order at 7:00 p.m. by Cliff Davidson, Chairman of the KEA Board of Directors. The signed postage-paid return envelopes will be entered into prize drawings during the Annual Membership Meeting and winners need not be present to win. The prizes are two (2) $250 certificates for electricity and two (2) round-trips for two (2) to the Terror Lake Hydroelectric Facility. KEA Voter Registration is Easy with KEA’s Member Services! Is YOUR name on YOUR KEA account? That means you can vote in KEA elections, earn capital credits, and be entered into KEA prize drawings! 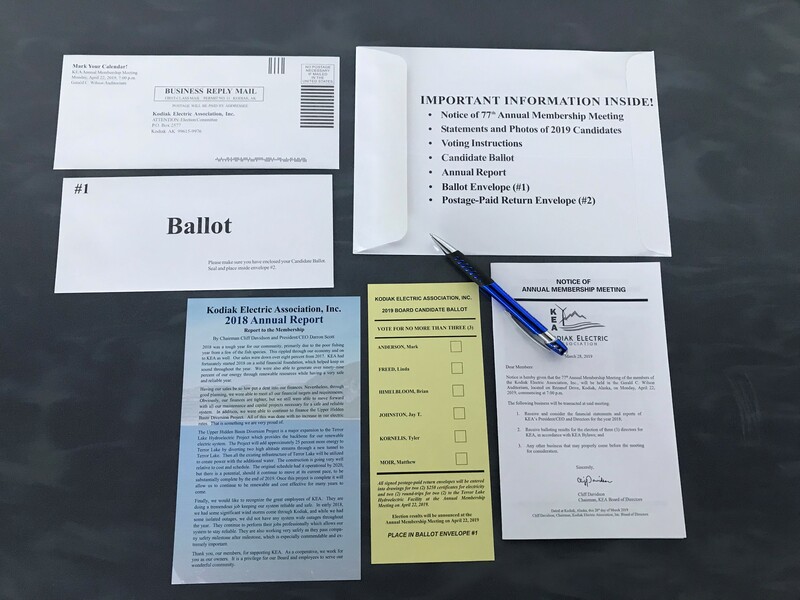 The Notice of Annual Membership Meeting, Ballots, and Annual Report will be mailed to KEA members on March 28, 2019. KEA’s bylaws state that each member is entitled to one vote. A husband and wife or any other two persons who occupy the same household and have both names on the account jointly act as a member. A ballot is voided if a spouse not listed on the account signs the ballot envelope! If you are uncertain about the name(s) listed on your account, please call Member Services at 486.7701. We’ll be happy to explain the simple procedure to add your spouse’s name on the account. Any changes to be in effect for this year’s election process must be made before February 27, 2019.
Business Accounts (Corporations, Partnerships, and Sole Proprietorships) should annually update their list of officers/owners authorized to vote on behalf of the account. 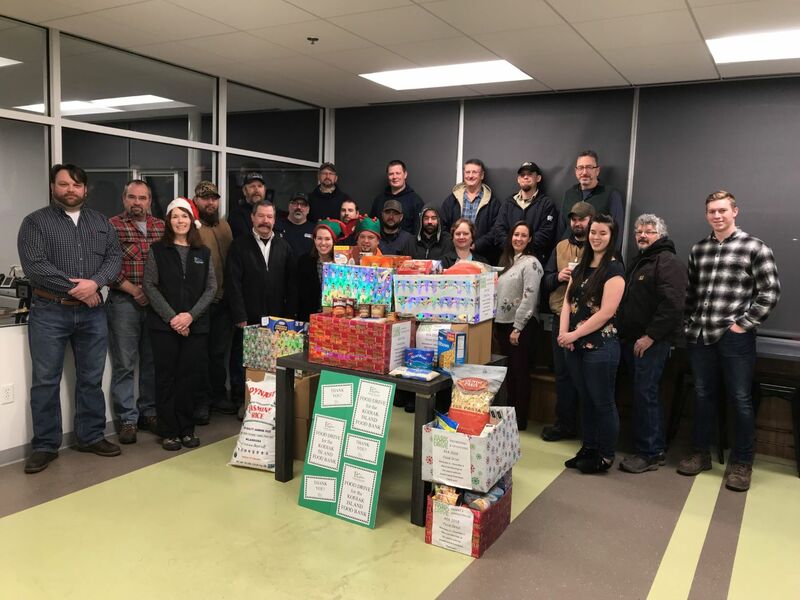 KEA Employees’ 2018 Food Drive – We Care! This year, KEA employees held our annual food drive from November 6 – December 3, with boxes for each department to fill. There was friendly competition to see which department would contribute the most! We collected over 525 pounds of canned and dry goods, along with a $300 Safeway gift card. Our donations were gratefully accepted by Jed Bergstron, Kodiak Island Food Bank’s Director, on December 6. Sharing the Blessings of the Season has been an annual event for KEA employees since 2011, and helps to make the holiday season even brighter for community members who are in need of assistance! The Kodiak Island Food Bank is always in need of food and monetary donations, and all donations are gratefully accepted. The Food Bank fights hunger and serves over 285 households, which averages around 1,000 individuals in Kodiak and five surrounding villages. Their website is http://www.kodiakislandfoodbank.org. Aaron leads the tour of the Terror Lake Power House. Aaron explains how the turbines work. From Left: Aaron Ellison, Katrina Refior, Kerri Gunter, and Elliot Blacha. At KEA’s Annual Membership Meeting on April 23, 2018, prize drawings included two round-trips for two to the Terror Lake Hydroelectric Project on September 6, 2018. Prize Winners Terry Gunter and Kenny Nelson were unable to make the trip, so they invited Kerri Gunter, Elliot Blacha, Katrina Refior, and Nancy Sweeney to make the tour. On the way over, the travelers enjoyed a short scenic flight with Andrew Airways Pilot Josh Shine, who pointed out the names of landscape features along the way. After landing at beautiful Kizhuyak Bay, near the jetty of the Terror Lake Project, Aaron Ellison, Power Generation Technician at Terror Lake, was their tour guide to provide a thorough understanding of the hydro project. The group toured the powerhouse, hydroelectric generators, tailrace channel, steel penstock, diversion structures, dam, and reservoir. 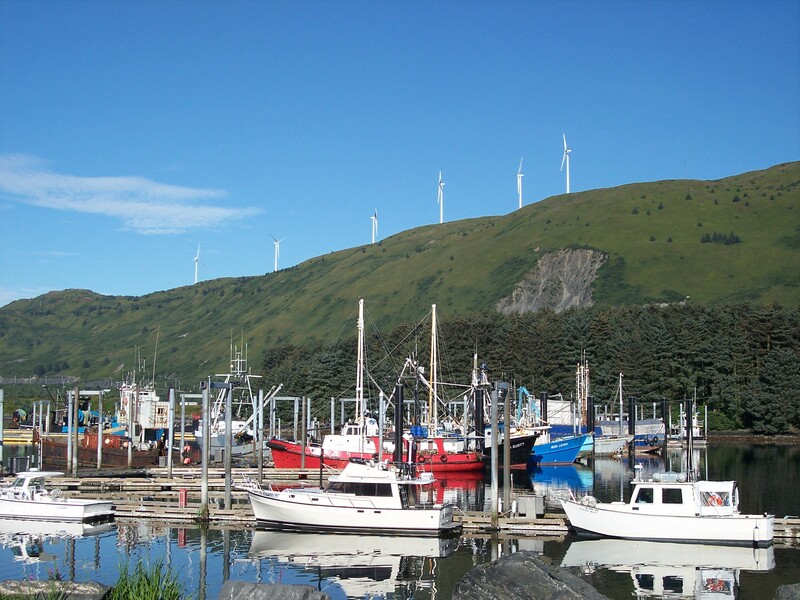 They saw firsthand where the water resources come from, and how the water supplies renewable energy for Kodiak communities. They also learned how the Terror Lake Hydroelectric Project works in conjunction with the Pillar Mountain Wind Project and Battery Energy Storage System, enabling KEA to achieve 98.3% of our power from cost effective renewable energy in 2017.